The South African fresh produce industry will introduce a special 'desk' to assist and advise it on policy development, keep track of trade issues, and represent it at forums where the industry bodies cannot adequately cover events. This is the result of, on the one side, a dramatic increase in outside political actions which could affect the industry and where lobbying is required, as well as international trade issues which need to be dealt with. A good example is the recent land debate in South Africa which is likely to be the subject of much conflict between the agricultural sector and the government over the next few years, while another is the uncertainty of the Brexit negotiations between the EU and Britain, which could have a major effect on two of the most important South African marketing areas. 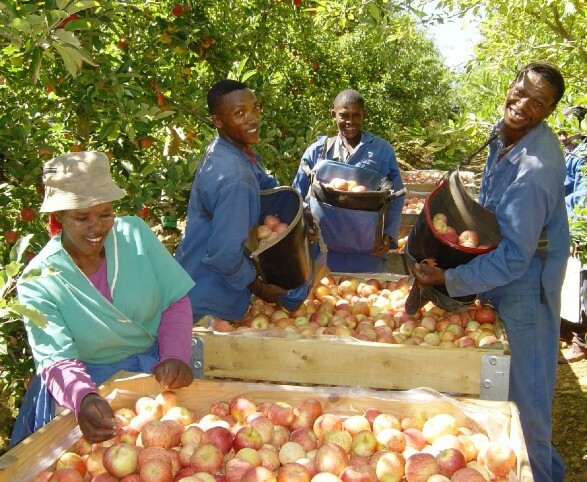 Both Justin Chadwick of the CGA and Willem Bestbier of SATI have confirmed that the fruit industry needs additional capacity to deal with these matters, as well as being the industry’s ‘eyes and ears’ in a number of forums in South Africa where matters affecting the industry will be discussed. “Under the umbrella of Fruit South Africa we decided to create a ‘Fruit Desk’ in the organisation Agbiz, which is the commercial name of the Agricultural Business Chamber," said Chadwick. "We will fund the post to be created there early in January and we are now already drafting our first set of requirements to be dealt with next year. “While the post will be under administrative control of Agbiz, we will very much determine the agenda,” noted Bestbier. Judging from the membership of Agbiz, it is certainly a strong cross agriculture organisation, which will also be a powerful opinion in the South African environment. Members include all the banks involved with argi finance, the IDC (Industrial Development Corporation), which has vast interest in agriculture in South Africa, players such as Capespan, the CGA, FPEF (Fresh Produce Exporters’ Forum), Komati Group, the Landbank (a government funded bank focussing on agriculture), the National Marketing Council, (another government agency), San Miguel, SRCC (Sunday’s River Citrus Company, Two a Day, Unifrutti, Wesfalia, SATI and finally Vinpro, a wine industry body. A ‘Wine Desk’ has already been created at Agbiz, similar to what is now envisaged for the Fruit Desk. Agbiz has already made a major contribution to the land debate. After Parliament adopted a resolution last week to amend Article 25 of the Constitution to allow for expropriation of land without compensation, Agbiz CEO Dr John Purchase clearly stated the group’s view. It also clear that worry and uncertainty about the latest developments in Brexit is finally emerging amongst South African fruit industry leaders. “The effects of Brexit on our industry is something that the Fruit Desk will have to deal with,” Bestbier added. Up untill now the industry bodies have kept a low profile as far as Brexit is concerned, leaving the debate on its impact for the South African department of Trade and Industry to deal with. This is now, barely four months before the Brexit date, clearly changing. It is debateable whether the Fruit Desk will be able to do much before the end of March when Britain is due to leave the EU, with or without a deal.